The DayZ dev thinks game design is much harder than climbing Everest. "When climbing, I wasn't the leader," DayZ developer Dean 'Rocket' Hall remembers, wistfully. 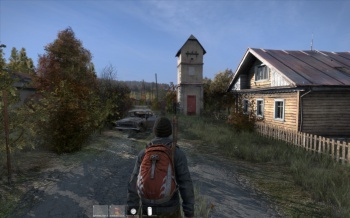 "When something goes wrong with DayZ, I'm the one person who can't avoid the issue or pass it on to someone else." Even now, after the alpha release, Hall doesn't recommend people buy it. Wait a month, for some of the most egregious bugs to be ironed out and some interesting new stuff to arrive. "The price will not change, but the game will get better. It is a promising concept now, but it is not a good game." In fact, it's about 20% of what Hall considers to be the ideal finished product. Yeah, alpha sales make the money Bohemia needs to keep this show on the road, but Hall can see problems with early release. "There are massive icebergs sitting around it waiting to be hit. I think some projects are going to hit those and those issues will need to be addressed." But it does help in that it switches the decision making process from the publisher to the customer. For once, it's the person paying out the cash who decides which concepts work and which don't. It does mean, Hall points out, that the customer needs to realize how much responsibility he or she now has. If you're voting with your wallet, make sure your vote counts. Buying everything you see and complaining about the duds afterwards just won't wash. It's not a gamble, and the internet police won't save you if you get it wrong. It's your responsibility to assess the project on its merits, and pay out accordingly. "Do your research, don't support bad people. Reward projects by people with a good track record. Then the economy will be pushing towards quality."